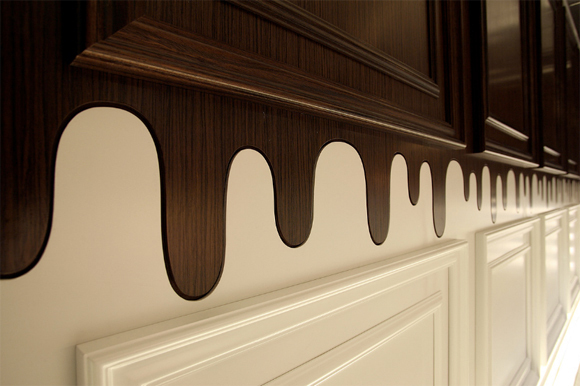 Chocolate plus design, say no more. I am pretty sure any designer would drop everything to take on that combination in a project. 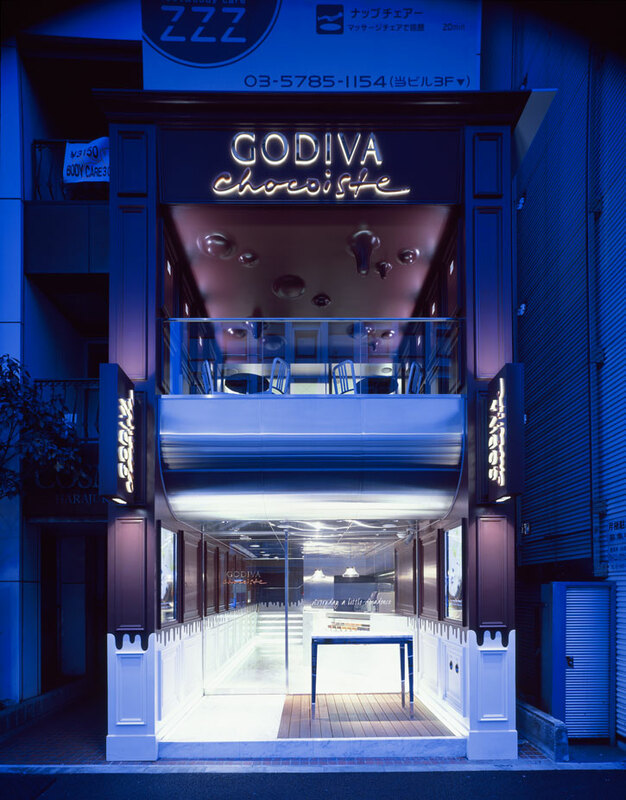 For the newly unveiled flagship store in Japan, the Belgian chocolatier Godiva makes the childish dreamy world of Willy Wonka look like a rough draft as to the possibilities. Lead by Masamichi Katayama of Wonderwall, who is consistently known for making big projects out of equally big budgets for big brands in Japan, the design takes the otherwise sophisticated and conservative company to a new fresh and playful level for all age levels. 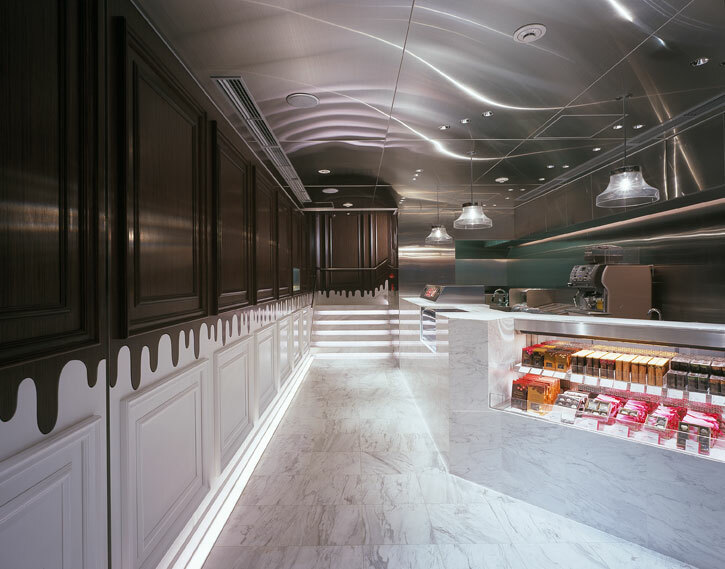 With a featured “melting chocolate” ceiling balanced by a classical chandelier – the classic yet modern commercial design lives up the Tokyo’s fashionable Harajuku district’s expectations – and shows how a designer can truly take an interior design concept to the next level. Even if you are not out and about with the intention of fulfilling your sweet tooth, those passing by can catch a glimpse of the store’s entrance and through the glass, the patrons inside enjoying the second floor’s chocolate showcase. 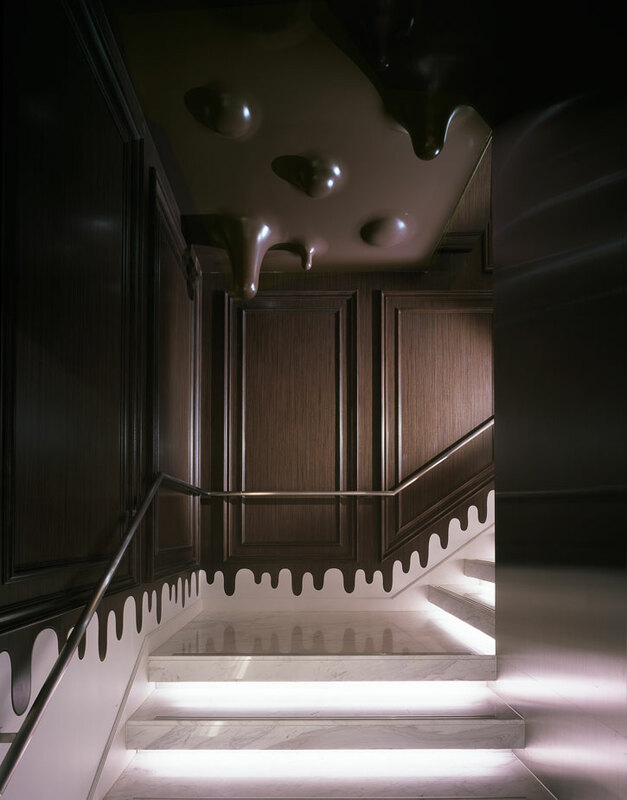 The lower sections of the downstairs walls are painted white, contrasting with the chocolate-colored paint that appears to seep down from the molded ceiling on the second floor. 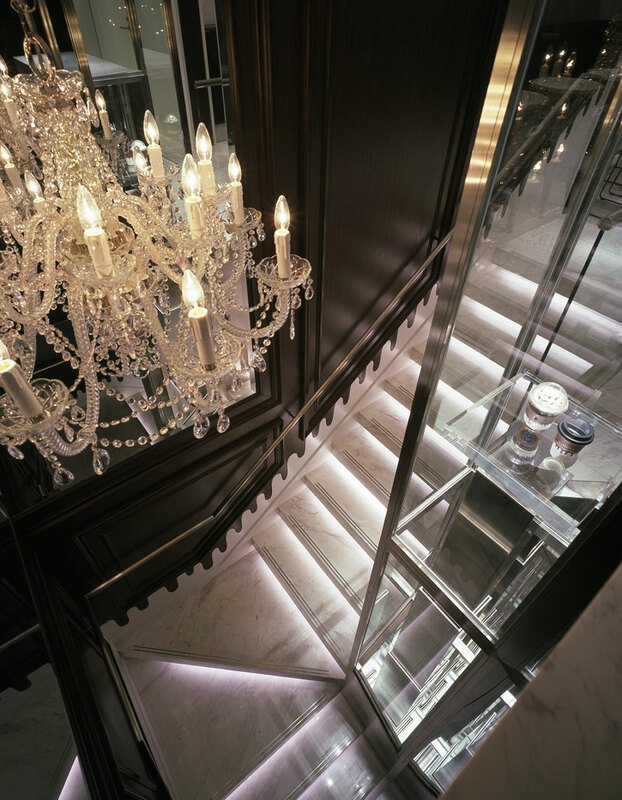 Those inside can also sit back and enjoy their treats, surrounded by melting walls contrasted by shimmering lighting and classic marble floors. 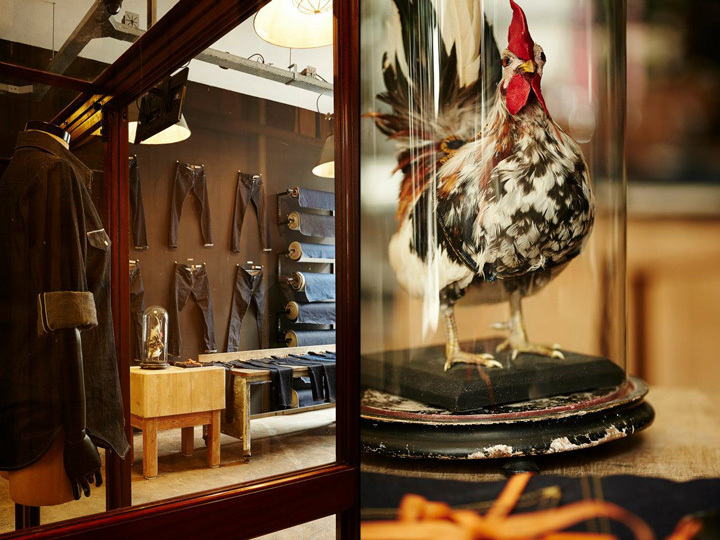 Minus the bar stools and cash registers, the space almost feels like a high end town home full of chocolate and sleek décor, rather than a space for food and retail enjoyment. The firm is quoted to express an uninhibited sense of energy towards design even in Japan, where architecture and interior design is known for being one of the most exhilarating in the world. Katayama’s interest in design has always been broad, respecting conventional and traditional aspects of architecture, while believing in breaking boundaries. 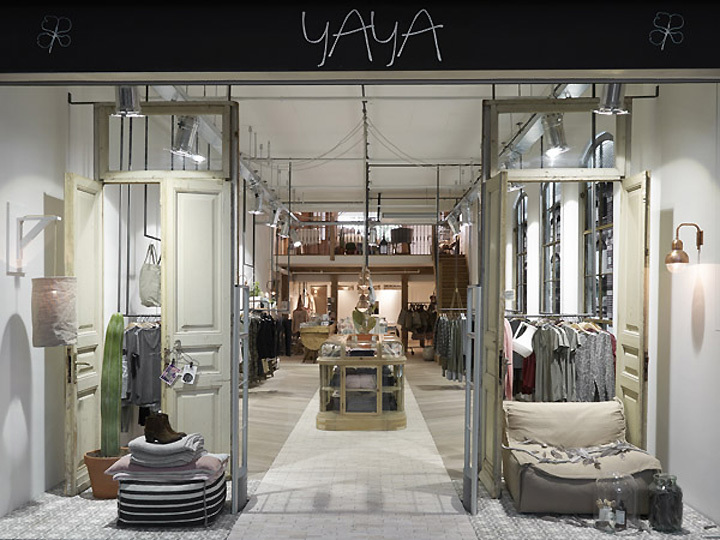 A “total concept” designer, Katayama’s intensions are focused in creating an environment that would touch the subconscious of the consumer and occupant. 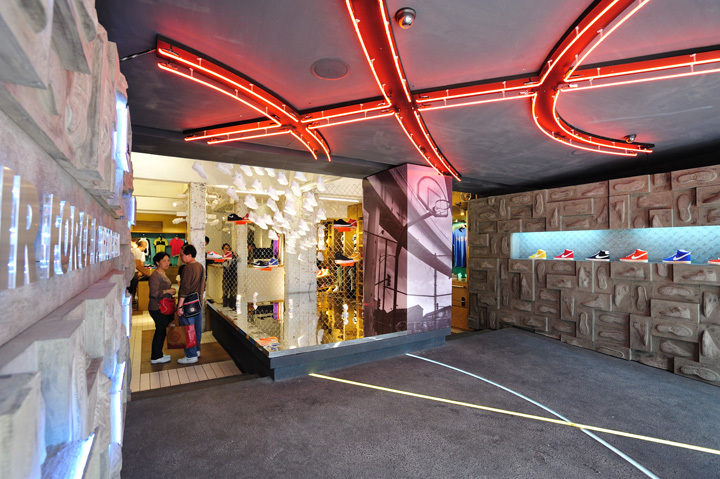 While the firm is best known for retail design, Wonderwall has extensively built a wide range of pursuits in design including architectural direction, and product design. His work has expanded to Japan, Hong Kong, China, Russia, France, England and the United States.